Lord of the Night reviews the latest addition to the Space Marines Battles series, the epic Battle of the Fang by Chris Wraight. It took me a while to finish reading the latest instalment of the Space Marines Battles series, which has to be one of the best ideas Black Library have ever had. Battle of the Fang is one of the best of the series, easily surpassing Hunt for Voldorius and Rynn’s World, whether it trumps Helsreach is another matter entirely but its definitely close. The Vlka Fenryka are quite fun to read, and even if I still don’t like them for Prospero I still enjoyed the novel. Taunted by dreams of his rival, Great Wolf Harek “Ironhelm” draws the entire Rout together when Magnus the Red and the Thousand Sons are discovered on Gangava Prime. Leaving behind the 12th Great Company and its Jarl, the White Wolf Vaer Greyloc, the Rout makes its way towards Gangava with vengeance in their hearts. But when Fenris itself is sacked by the Thousand Sons Legion reborn Greyloc must utilize every weapon in their arsenal to defend against the hordes of sorcerous horrors that assault their walls. But something far more momentous is happening deep inside the Aett, and it will change the face of the galaxy forever. This may be just a stand-alone novel but its definitely one of the better ones. I particularly enjoyed the chapters that focused on Wyrmblade and Blackwing, the Blood Claws Helfist and Redpelt were quite good too. I enjoyed the element of the last stand that is prevalent though this novel, a small force fighting against overwhelming odds and the potential that is still present in the 31st millennium. I enjoyed every moment with Magnus the Red enormously, especially his speech to the statue of Leman Russ and what he said to him, and the hints to where the Wolf King is now. The novel features many characters in important roles like Vaer Greyloc, the White Wolf and 12th Jarl who believes in a future not rooted in tradition for the Rout. Wyrmblade, the chief Wolf Priest and master geneticist who is working on something that will forever alter the destiny of the Vlka Fenryka, and the galaxy at large. Redpelt and Helfist, two new Blood Claws in competition with each other as only the irreverent younglings can be. And Blackwing, the pilot and lone wolf of the chapter whose adventure was the most fun to read, at least for me. And the Thousand Sons are not neglected either. The revenge seeking Aphael was a very interesting story, I was quite surprised at how it ended but I suppose it was necessary. Temehk was a much wiser character, one who cared little for revenge but rather looking to the future, but of course he’s a Corvidae. But Magnus the Red stole the show as he took his revenge on those who destroyed his home, Chris Wraight did a marvellous job writing about the Red Cyclops. The action of the novel is breathtaking in its scale. The Rout face an enemy that outnumber them more than 100 to 1 and the battles show that very clearly, against constantly overwhelming odds the Wolves fight relentlessly and make the Sons pay for every inch in blood and lost souls. The differing battle styles of the Blood Claws, Grey Hunters and Wolf Guard make for very fun reading, roaring and howling Space Marines hacking off heads and taunting the enemy is just awesome after all. The pacing was very good, I never felt rushed or slowed and the book moves along at a good speed, picking its moments to bring up the tension and action or to show the importance of what happens during this historic battle. The ending was at the same time, inspiring and saddening. The Vlka Fenryka still have a future but the real question of this battle is which side lost more? The Thousand Sons or The Rout? But its inspiring to see the Wolves survive and know that they will keep surviving against the darkness and all its slaves. 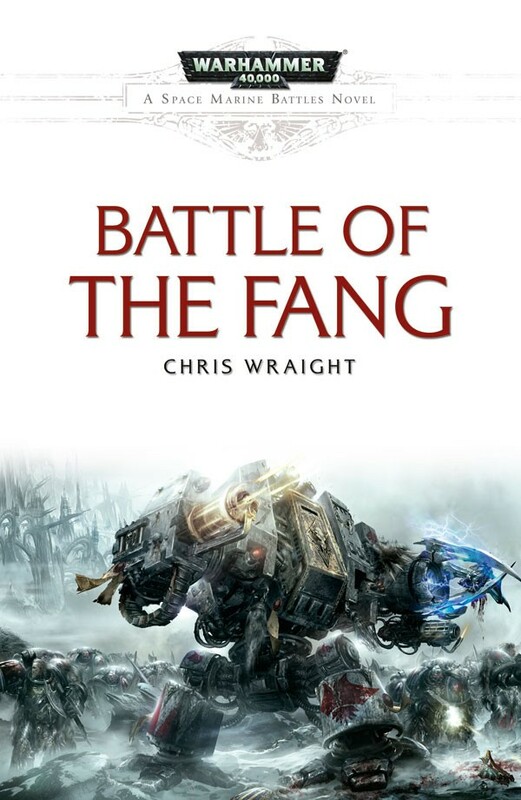 I give Battle of the Fang an 8.5/10 for a grand story, characters whom I actually liked despite being the Space Wolves, and for a battle to rival Prospero in its sheer awesomeness. This is definitely one of the best Space Marines Battles novels, perhaps not as good as Helsreach but its definitely close to it. Should you buy this book? The answer is yes. This is a must-read battle and contains a great story that will leave you amazed at how different the galaxy could have been if just a few things were different.